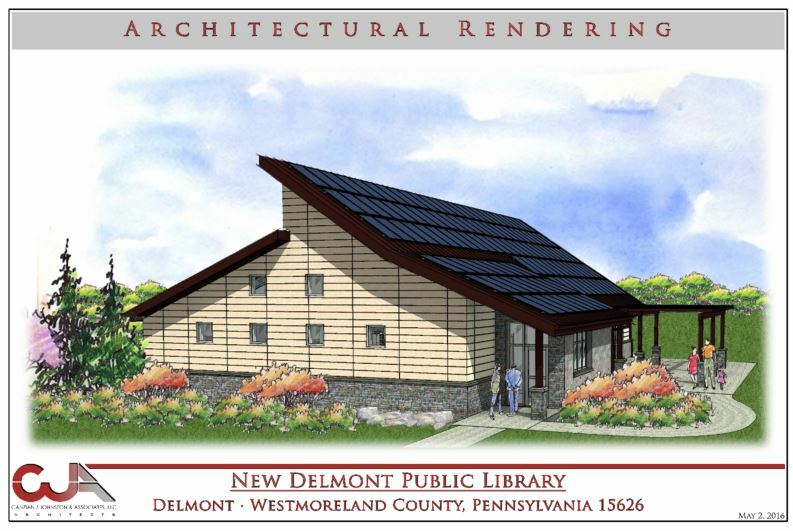 In July 2015, we began fundraising for a new Delmont Community Library building, with an estimated project cost of $1,500,000. We are beginning to see the light at the end of the tunnel, and hopefully, with continued support, we will meet our goal by the end of 2018. We have raised over $500,000 to date, with 70% coming from individuals and families who share our vision for a modern, state of the art, eco-friendly, community library. Donations have ranged from $10 from a little girl who said “this is for my new library” to an anonymous $200,000 pledge from a family who believes that the community benefits from a vibrant library. Over half the donations have been pledges for $600 or more. These gifts have been acknowledged on a donor recognition tree, currently found in the library, and which will be prominently displayed in the new building. In the near future, we hope to apply for a “Keystone” state grant. In order to apply, we must have at least half of the total cost of the project, in hand. We still have a ways to go to reach this goal, and therefore, every donation is most sincerely appreciated. We will keep you informed as future milestones are reached. We propose to build a 4,150 square foot, slab on grade, library, which will contain an expanded children’s area as well as a community room. The design of the parking area will allow for the natural absorption of storm water into the ground, minimizing storm water runoff. We will collect the storm water from the roof in a site cistern to be used for flushing toilets and the irrigation of landscaping. The library roof will be oriented to maximize solar gain through solar panels. The geothermal well field will provide both heating and cooling, using the earth’s natural resources. The library design will let us reach net zero with respect to energy consumption. It will minimize our ongoing operational expenses, and most importantly, we believe that in the 21st century, it is the right thing to do. None of this is possible without our community’s generous support and encouragement. Your new library will make you proud of your support and your community. Your continued support is very important to ensure that we reach our goal.